CANTON, Ohio — The Stark Area Regional Transit Authority (SARTA) is set to have a ceremonial groundbreaking on a new $1.6 million hydrogen fuel-cell station, with actual construction on the station set to begin in February and last six to eight months, The Repository reports. 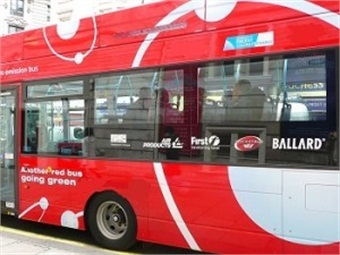 The station is part of SARTA’s plan to add seven hydrogen fuel-cell buses by the end of 2017. The buses, built by ElDorado National using fuel cells made by Ballard Power Systems and a drivetrain from BAE Systems, will seat 35 passengers and cost about $60,000 to operate a year, including driver salaries, maintenance and fuel. For the full story, click here.